・Catwoman is sculpted in detail by Keita Misonou from her iconic costume to the make up on her face. ・Painted intricately to replicate the shiny textures on her outfit realistically. 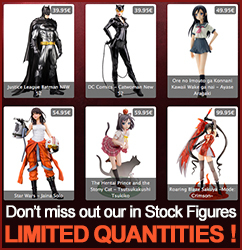 ・Display alone or alongside other Kotobukiya ARTFX+ DC characters such as Harley Quinn and Poison Ivy!